Mary Kay® Sun Care Lip Protector Sunscreen SPF 15 helps keep lips protected and guarded from the drying effects of the sun and wind. Glides on for invisible protection and helps seal in moisture so lips feel soft and supple. Provides UVA and UVB protection. Use it alone or under lipstick or lip gloss. 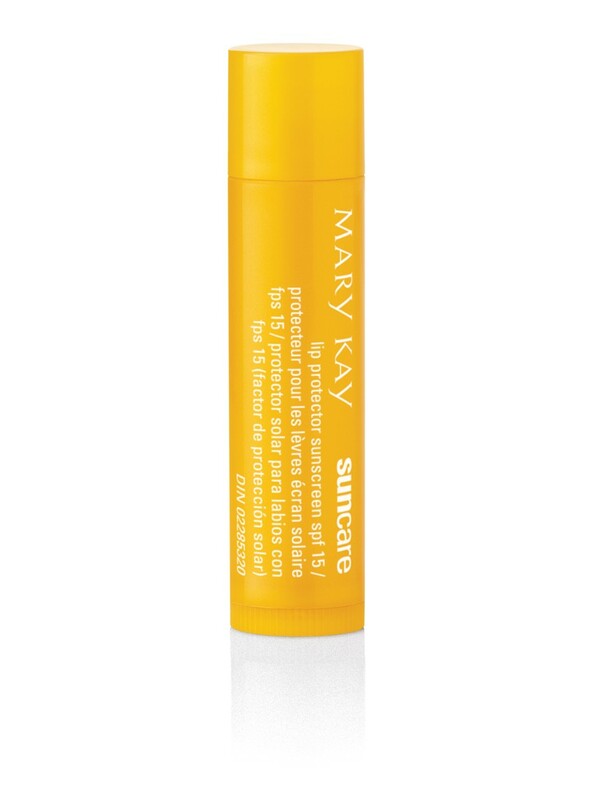 Mary Kay® Sun Care Lip Protector Sunscreen SPF 15* keeps lips perfectly protected. It is ideal for people looking to protect their lips from the damaging effects of UVA/UVB rays. Apply liberally at least 15 minutes before sun exposure, alone or under lipstick. Reapply as needed and after swimming, eating or drinking and at least every two hours. *Warnings: For external use only, not to be swallowed. Discontinue use if skin irritation develops or increases. For use on children under six months of age, consult your doctor. Keep out of reach of children. Petrolatum helps to maintain the soft, smooth and supple appearance of the skin. Tocopheryl Acetate and Ttocopherol are known to help protect the skin from the effects of free radicals generated by the environment. Exclusively formulated with beneficial moisturizers and antioxidants, Mary Kay® Lip Protector Sunscreen SPF 15 helps keep lips protected and guarded from the drying effects of sun and wind.